It has been a couple of weeks since I posted to this blog. Hope you enjoyed the break! Since I last posted, we had Summer Commencement with Dr. Angela Kennedy as speaker. 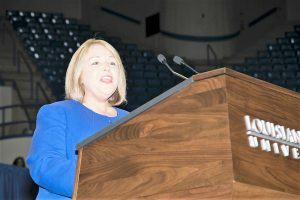 Angela recently retired as Head of Louisiana Tech’s Health Informatics & Information Management program to assume the CEO position of the Commission on Accreditation for Health Informatics and Information Management Education. She has been a national leader in the health informatics field for several years and we are proud to claim her among our alumni. Her commencement address was great and is included here. After commencement, Kathy and I took a long week-end break. 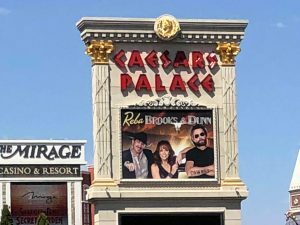 We decided to head out to Vegas to visit with Tech alumnus Kix Brooks and see his show with Ronnie Dunn and Reba McEntire at Caesars Palace. 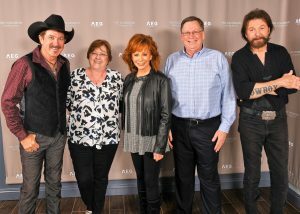 Kathy and I were glad to have the opportunity to visit with him before the show. He has been very supportive of our university and the music program. 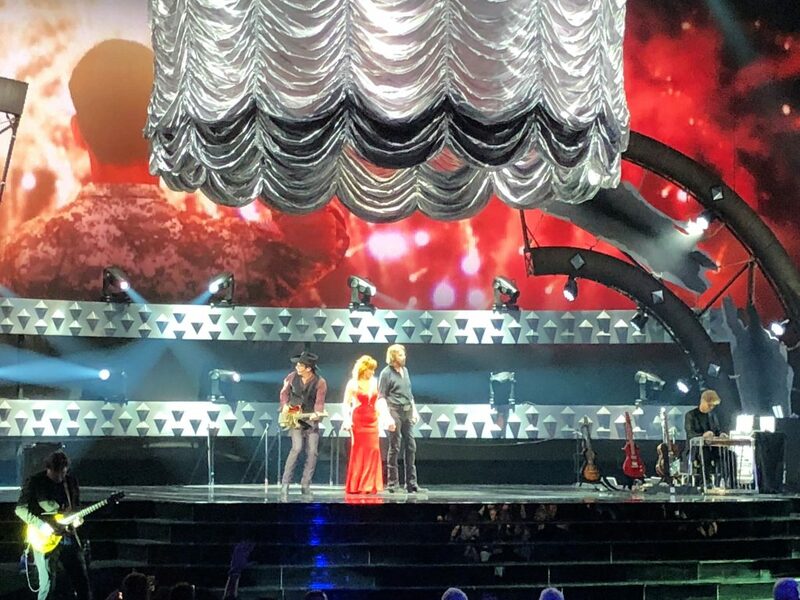 The Reba, Brooks & Dunn Show was great and we will definitely make plans to go back to see it again. I got back in the office on Tuesday and had an excellent meeting with a major global corporation that is interested in our cyber program and related activities. We are always excited about opportunities to partner in meaningful ways with corporations and have a proven track record in making those partnerships work well. 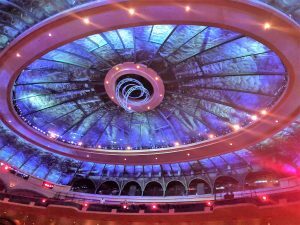 After that meeting on Wednesday, I headed down to Baton Rouge for the August meeting of the University of Louisiana System Board of Supervisors. 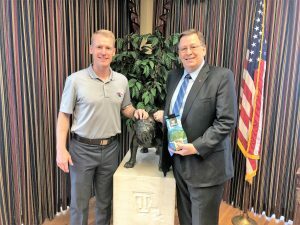 I returned to Ruston late Thursday and had a short day in the office on Friday as I began to get ready for the new Fall term. Hope you enjoy a few of my recent pics.